Creatine Ethyl Ester: The Ultimate bioavailable creatine available today for enhanced rapid ATP regeneration and osmotic hypertrophic response. 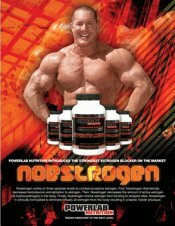 Trimethylglycine (TMG): A well research compound that acts as a methyl donor thus supports improved energy, alertness, and concentration, TMG is considered an ergogenic nutrient that improves physical stamina by maximizing energy production and neutralizing free radicals and other harmful substances. 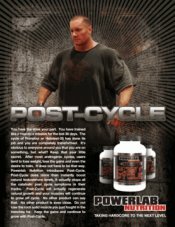 You have to clear the training by-products and replace the nutrients lost to recover! 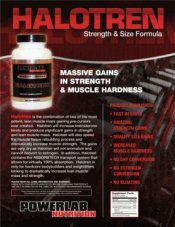 Glycocyamine: Also known as guanidinoacetic acid, glycocyamine is simply a precursor to creatine made in the body…that almost all of the non-creatine responders realize creatine-like results from when supplemented correctly. It is seriously oral bioavailable and is readily converted into creatine by the live thus increasing natural creatine synthesis as well. Cool but only a part of the reason it is in Regeneration-X™. It seems research supports what athletes have been proving for years: Glycocyamine is an insulin sensitizer similar to Metformin. Metformin is a drug used to increase insulin sensitivity in muscle but decreases sensitivity in fat tissue. In short, glycocyamine enhances muscle volumizing effects and increases nutrient (like creatine) uptake while inhibiting additional fat formation. Guanidinopropionic acid: This compound is similar to glycocyamine in that it is an analog of creatine similar to Metformin that also regulates insulin function. Research has shown that guanidinopropionic acid can help to improve insulin function, promote fat loss, improve muscular contractions, increase body's creatine uptake, and, most importantly, help to make your muscles appear fuller and recover. Glutamine EE: Glutamine is a primary amino acid in the body’s anti-oxidant synthesis but is better known for its capacity to increase cellular recovery and nutrient up-take. Due to poor oral bioavailability, as much as 100 grams daily has been ingested to reap its recovery and anti-catabolic benefits. 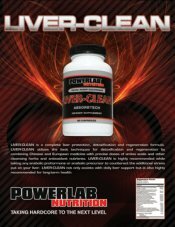 ALR Industries first brought you Glutamine Ethyl Ester in N’Gorge™ and it worked so well that we just had to include it in Regeneration-X™ due to its nearly 100% bioavailability. * Amazing long-lasting pumps…everywhere? * Improved recovery time? * Increased strength and power output? * Improved nutrient transport? * Vascular dilation? * Type-II muscle fiber stimulation? * Enhanced oxygen delivery*Better glucose uptake? Taurine: The second most abundant amino acid in muscle (or at least should be if and athlete is Regenerated), that supports and regulate muscular contractions. Taurine also acts synergistically with creatine, increasing cell hydration (cell volumizing) by way of non-insulin mediated cellular up-take of amino acids and glucose resulting in a higher rate of protein synthesis. Leucine Ethyl Ester: Is a BCAA well known for its protein synthesis triggering aspects, but it is also well documented as a means of inducing non-insulin dependant cellular nutrient up-take. Why is it in Regeneration-X™? Leucine regulates translation initiation of protein synthesis in skeletal muscle after exercise. Hmmm, need I add the increase in oral bioavailability from ethyl esterfication? KIC EE (Ketoisocaproate Ethyl Ester): The function and actions of insulin upon muscle regeneration and hypertrophy are well documented and have been heavily exploited by performance oriented athletes for years. KIC EE is a pancreatic beta-cell agonist that triggers supraphysiological insulin release for maximum nutrient utilization for recovery growth. Proprietary Tamarindus Indica Extract 20:1 (TI): TI has been used in folk medicine for many years to treat hyperglycemic individuals. Recent studies have shown that the proper herbal extract aids in cellular modulation of insulinic activity. Proprietary Phaseolus Vulgaris Extract 100:1: In some studies Phaseolus Vugaris extract has been favorably compared with the actions of a non-insulin dependant diabetic drug called glibenclamide. Glibenclamide increases pancreatic sensitivity to glucose thus resulting in an increase in insulin. In other studies Phaseolus Vulgaris Extract has been shown to increase the sensitivity and number of insulin receptors in relation to muscle tissue. 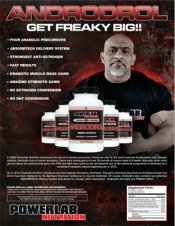 Beta-D-Glucose: BDG is a glycogen re-synthesis friendly and pancreatic beta-cell stimulating compound that increases insulin release while promoting muscle cell glycogen without being fat cell friendly. Nothing “really” trick, just highly effective for our needs. Hey, if it works best, don’t screw with it! Adenosine: Adenosine plays an important role in all recovery and energy biochemical processes, such as energy transfer - as adenosine triphosphate (ATP) and adenosine diphosphate (ADP) - as well as in signal transduction as cyclic adenosine monophosphate, cAMP. Adenosine is the base building block for energy and recovery. cAMP: Cyclic adenosine monophosphate (cAMP) is one of the bodies greatest natural metabolic regulating compounds in regard to recovery and pro-anabolism. An increase in circulatory cAMP results in increased force of contraction of heart and other muscle, relaxation of the arteries and other smooth muscle, increased insulin secretion, increased thyroid function and increased lipolysis (breakdown of fat). ATP: Adenosine Triphosphate (ATP) is the body’s primary energy and mandatory for recovery as well as performance. Somewhere around 200-300 moles of ATP are used daily by the average adult. An athlete can use up to twice that daily. The total quantity of ATP in the body at any one time is 0.1 mole. In short, this means that ATP has to be recycled 2000-3000 times over the course of a day. ATP cannot be stored so its synthesis must closely follow its utilization. 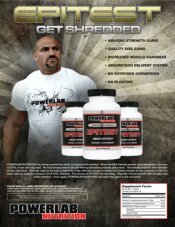 Now you know why Regeneration-X™ is structured to create and serve all of the ATP synthesis pathways in a sort of time release manner…with the mandatory major means of transporting them into recovery starved cells while maximizing the nutrient pro-muscle repartitioning effect of post performance meals for hours after. 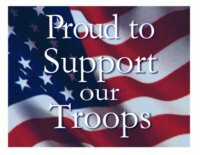 Directions: As a dietary supplement on training days, take two (2) scoops with eight to twelve fluid ounces of cold water immediatly after training. 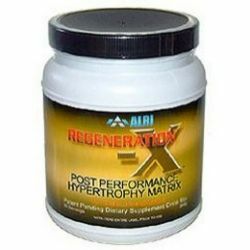 For maximum results, take one serving of ALRI Lipolytic Whey Protein 1 hour after Regeneration-X use.